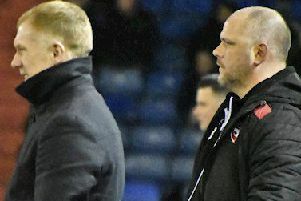 Morecambe manager Jim Bentley has a welcome selection headache now that club captain Barry Roche is back in training. A combination of thigh and wrist injuries have kept Roche on the sidelines since the end of October. It has given his deputy, Mark Halstead, a chance which he has grabbed with both hands in the meantime. He’s played the last 20 games with standout displays in the victories against Yeovil Town, Port Vale and Oldham Athletic. Here. 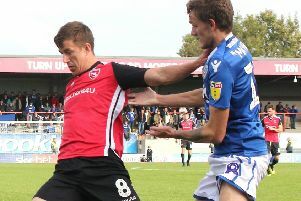 Bentley discusses the welcome problem he has after a season in which injuries have decimated the Morecambe squad.